1. Go to Arcade Bus Station and get thee an overnight ticket to Udon Thani. (2014 Update: It is now possible to book your ticket all the way to Nong Khai eliminating step 2.) Book in advance the VIP 8pm bus. Takes about 10-12 hours. So if you leave Tuesday night, you will arrive Wednesday morning. Keep in mind when you do your visa run, to check out both Thai and Laos holiday schedules. You don’t want to arrive on the weekend or a holiday. Check the embassy website. Bus travel is generally on-time and reliable. On the VIP bus you will receive bottled water, a snack like a package of cookies, a wet nap the next morning and instant coffee. Even though you get a blanket, a Japanese guy I met told me he couldn’t sleep, “Thailand buses are cold”. I’d recommend bringing socks, a jacket, a sleeping mask and earplugs. The buses stop halfway at a gas station for you to get out, stretch your legs and use the loo although there is a WC on the bus. Sometimes they have toilet paper and other times they don’t. I hope by now you know to always carry some. The buses will also stop to pick up other passengers in other towns or drop them off in what appears to be middle of nowhere. This is when your sleeping mask will come in handy. They turn on the lights whenever they pull into a station or stop. 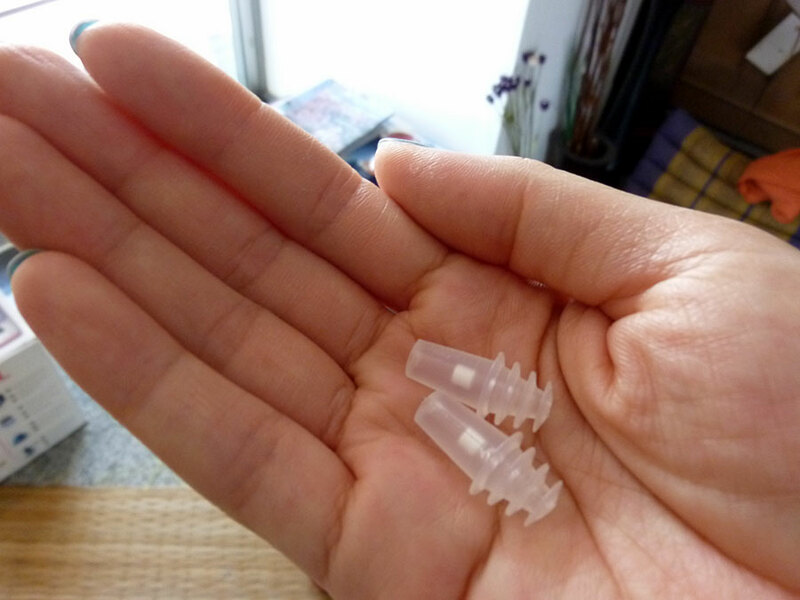 They also play Thai pop music or a movie and if you don’t want to hear it, those ear plugs are good travel companions. 2. When you arrive, you will feel like something dead a dog rolled in, never you mind tho’, it’s time to get to Nong Khai. Ask to be dropped off at Rang See-Na Market. Tuk tuks cost about 40 baht. The bus will take about 1 hr and cost 35 baht. Get dropped off at the Lotus Superstore. 4. After crossing the Mekong, you’ll be in Laos. Go to the second window for your forms. They will give you 2: one will be your arrival/departure form, and the other is the Laos visa application. There is also a list of costs, if any, for each country. For US citizens it is $35 dollars or 1500 baht. If you are interested in saving 300 baht, go to the money exchange around the corner. There you can give 1200 baht in exchange for $35. Or you can do this back in Chiang Mai. Both types of currencies are accepted here, but as best as we could tell, the Laos kip is the slightly better rate for hotels, tuk tuks, food, etc. Duh. Keep in mind, when you are in country, if you pay with Thai baht you will receive kip as change. In addition you will need to give Laos immigration one passport sized photo, and at the Thai consulate another photo, and a copy of your passport. It really is a good idea to have extra photos handy. Yes, I’m sure it is part of a Kodak conspiracy. Once you’ve filled out your forms and handed them in along with passport, photo and fee to the first window, you’ll wait until they wave your passport out of the second or third window. During high season expect long lines, during the low season, we were out of there very quickly so immigration could go on their breakfast break. Wait in the next line, you’ve been granted permission to visit Laos and now you need to make it extra official. Once you are through, pass the fee booth. I have no idea why anyone would readily stop by a booth asking for money. Next, hand your passport to one of the uniformed men at a desk, and now finally you are free to go. 5. If you are motivated to return to Thailand then I would head straight to the Thai Consulate. They accept visa apps from 8am to noon, and it is located about 20-30 mins away. During the high season, we arrived at 11:45 and got our apps in on time. But I’m getting ahead of myself. Once you leave immigration, you will be greeted (is greeted the right word?) by tuk tuk and taxi drivers. Anything more than 100 baht is a rip off. Be very willing to walk away, and when you do, to the far right you will see blue chairs and locals waiting. My tuk tuk driver stopped here and picked additional passengers up so I’m certain this is where you can get a ride as well. 6. The Consulate is located at Rue 23 Singha. The building to the left is where you will pick up your visa the next day. Straight ahead beyond the open seating area is where you need to go to pick up your number and visa application. Get your number from the machine located to the left of the windows. Afterward head to the enclosed building and wait for your number to be called. You will be given a receipt. Don’t lose it. You will need it to pick up your visa the next day at 1pm. 7. Grab a tuk tuk into town. If you haven’t booked a hotel then ask to be taken to nampu which is a fountain located in the center of town. There are plenty of guest houses and restaurants within walking distance. I haven’t found a good one yet so if you hear of one please leave a comment. 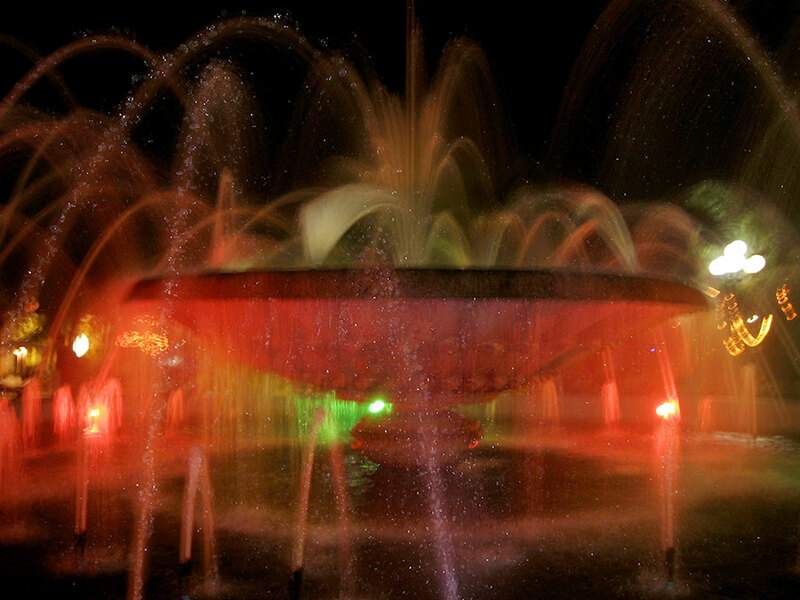 The fountain at night, not bad for an old camera, eh? You’ll notice things are more expensive here and I don’t know why. Maybe it has to do with its communist economy. 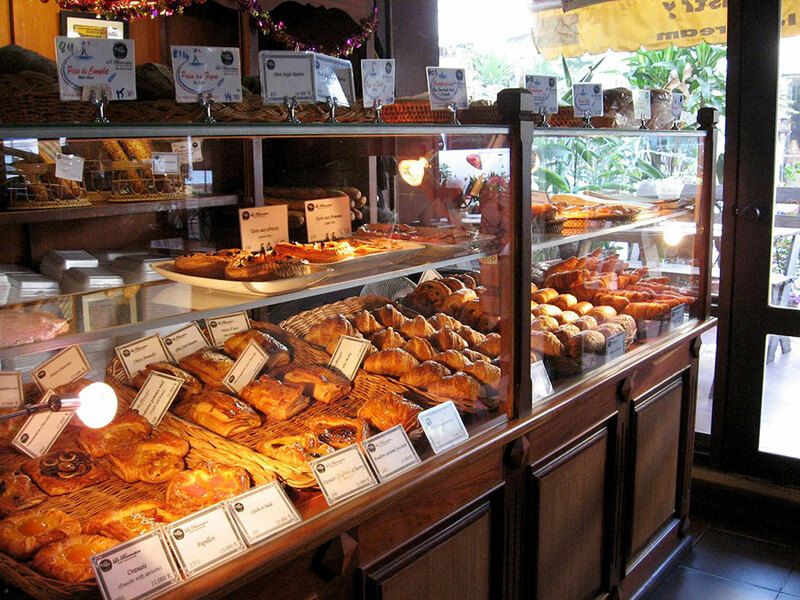 But the French influence means baguettes and bakeries. I’ve heard another visa runner describe Vientiane as more gritty than CM. And I rather like that description. 8. The next day at 1pm the Consulate opens for visa pickups. During the high season I’ve arrived early to wait in a long line in the hot sun. It took 1 -1/2 hours. During the low season I’ve walked right in and received my passport under 5 mins. 9. 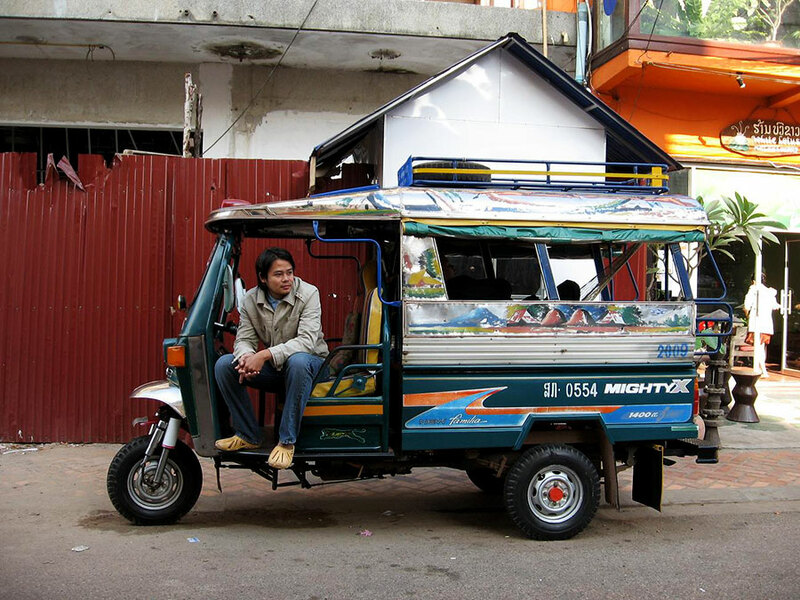 Get a tuk tuk to take you to the morning market or dalat sao across from it will be the bus terminal. Buses to Udon Thani leave at 2, 4 and 6pm and costs 90 baht or 22,000 kip. Locals have a tendency to cut lines, so if you want to ensure you are on the bus you want, I’d speak up. I also ran into an expat who had his backpack stolen here. He tried to chase the guy down, but couldn’t. I think Thailand is a safe country. 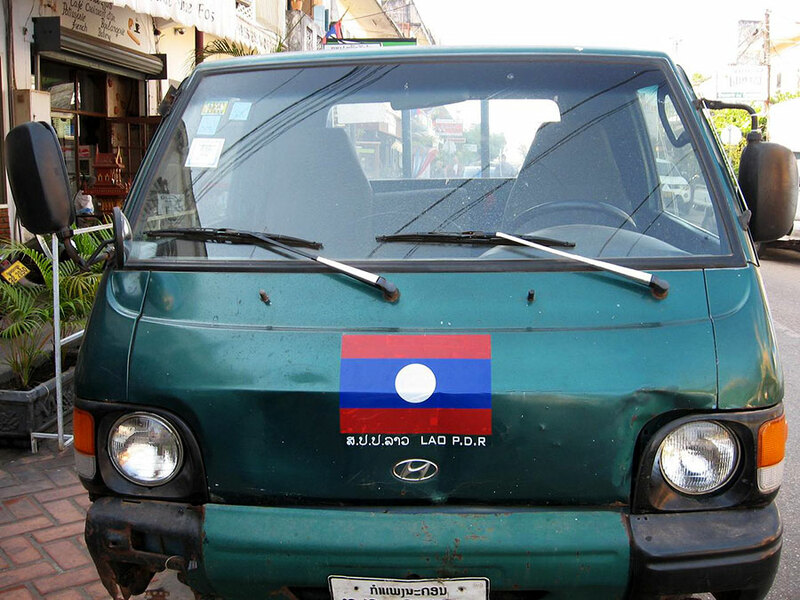 As far as Laos is concerned I don’t know. This was the first incident I had heard of, but it’s a generally a sound idea to be situationally aware. Vientiane has the feel of a Thai visa run and border town. I wouldn’t be surprised if there is more scamming and stealing here because of that. On your way, you will go through the Laos and Thai visa immigration checkpoints again. And since you are on a bus you’ll have to wait in line with all of the other passengers who were on the bus with you. From Vientiane to Udon, I’d say it is about 2-3 hours. 10. Passengers will be dropped off at Bus Terminal 1 and you’ll need to get to Bus Terminal 2. Supposedly tuk tuks should take you there for 40 baht but I got on a motorbike taxi for 50. Everyone thought 40 was outrageous. *Generally it’s a good idea to walk away from the drivers swarming the buses and head out towards the street. You can usually catch a cheaper ride. 11. At the newest bus station find a row of shops to the left of the bus loading and unloading area – this is where you will find the blue Chiang Mai sign. Here you can purchase your ticket 613 baht VIP 8pm. I think two VIP buses depart at this time and a first class one at 7:30pm. If you purchase your ticket in Laos you will be charged twice as much; 1,400 baht was my ‘discounted’ rate and I checked several places. There are two washrooms located at this office and a waiting area. The bus will pull up right in front of the office. (I’m not sure if there are more buses during the high season as I came back another way the last time.) Nearby stores include 7-11 type fare, restaurants and a well-placed internet café. 20 baht for an hour. Holy crap! Do you have to do this every year to extend your travel visa? Since you're of Thai descent, you'd think there would be an easier process! I know right! Several folks have made comment on that but I guess not. My mom had to do the same thing but I think the next time she arrives she won't have to. Who knows, the gov't is notorious for changing things.Last year since I didn't have a work permit I had to do a visa run often. This is the life of an expat here. But my full time position will change that soon enough. I'll have to go out again but then I won't have to for a year!